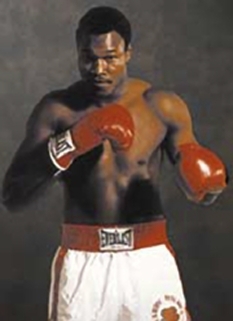 Boxing great, Larry Holmes, was born on November 3, 1949, in Cuthbert, Georgia. Larry Holmes is a former world heavyweight boxing champion. 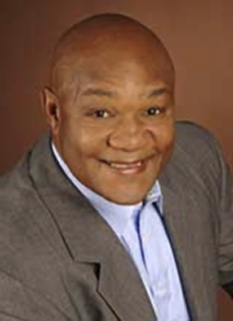 Although Holmes is a native of Georgia, he has spent the majority of his life in Easton, Pennsylvania, giving rise to his boxing nickname, The Easton Assassin. As a professional heavyweight, Holmes won his first 48 bouts, beating, among others, Ken Norton, Earnie Shavers, Tim Witherspoon, Gerry Cooney, James "Bonecrusher" Smith and Muhammad Ali. As champion, Holmes successfully defended his title (organizational or lineal) 20 times, second only to Joe Louis who had 25 defenses. 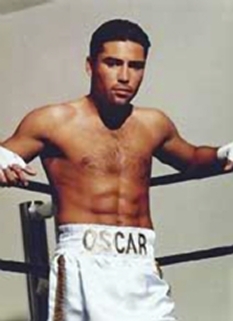 He fell just one short of matching the record of Rocky Marciano, who retired undefeated after 49 wins in 49 bouts, when he lost to light-heavyweight champion Michael Spinks by a unanimous and controversial decision in 1985. After losing the rematch with Spinks on a disputed split decision, Holmes promptly retired from the sport at age 36. Subsequently, Holmes made a series of comebacks. He unsuccessfully fought for the title three more times, losing to Mike Tyson in 1988, by TKO in 4; Evander Holyfield in 1992, by UD after 12 rounds; and Oliver McCall in 1995, by UD in 12 rounds. He finally retired at the age of 52 after defeating Butterbean by UD after 10 rounds, 29 years after his first bout (against Rodell Dupree, by UD after 4 rounds), with a record of 69-6. 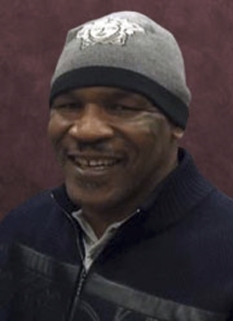 He was inducted into the International Boxing Hall of Fame in June 2008. The Easton Assassin Ð Larry Holmes has proved that hard work and discipline will guide you towards your life goals and monetary security. The "Champ" was born in Cuthbert, Georgia and moved a few years later to Easton, Pennsylvania. Larry's life ambitions at the time were to be able to survive poverty and help out his family which included nine brothers and three sisters. Larry dropped out of school at 7th grade to be able to financially help his mom and siblings. Through hard work and discipline Larry was able to turn his life around to become financially secure. At the age of 19, Larry Holmes started an amateur career (19 wins and 3 losses) that would prove that he had a talent for boxing. In 1971 at the age of 22, Larry had the opportunity to work with Muhammad Ali as a sparring partner. Two years later ,Larry would turn professional. In the interim Larry learned his trade by working with great fighters as Joe Frazier, Earnie Shavers, and Jimmy Young while fighting on their cards. Larry's winning record inched him closer to allow him an opportunity to fight for the Heavyweight Title. Holmes was known as a late starter in the ring, but proved to his critics that he had the skills and ring savvy to become one of the greatest Heavyweight fighters of all time. Larry won the WBC Heavyweight Title in a toe to toe 15 round battle against Ken Norton in 1978 at the age of 29. His ability and heart that night demonstrated that Larry Holmes was not going away. Larry's signature jab would be a part of boxing history and a model for future fighters to follow and emulate. Larry Holmes never turned down a fight throughout his career, and always looking to keep busy. His record will show that he fought an average of five times a year with one year being nine times throughout the world. Larry fought great fighters such as Earnie Shavers, Mike Weaver, Tim Witherspoon,Leon, Spinks, Gerry Cooney, Tex CobbÉÉ..while holding onto the title for over 7 years with 48 straight professional wins and 20 consecutive title fights. The ÔChamps "title was lost in a controversial decision to Michael Spinks in September of 1985. Larry's record still stands today (48 consecutive wins with 20 title defenses) next to great boxing legends as Rocky Marciano and Joe Louis. Retirement to Holmes means waiting for the next opportunity to get back in the ring. His first comeback came in 1988 to fight Mike Tyson. Even though, Larry was enjoying retirement and left the rigors of boxing, he still took the challenge without the proper training time. Larry knew the odds were against him since the promoter (Don King) would not allow him enough time to get in shape, but he had the heart to try his best and to regain the title. A few years later the promoters and fans demanded Larry's return to fight at the age of 40. Larry Holmes' next comeback would be on the USA NETWORK- "TUESDAY NIGHT FIGHTS". The next few years, Larry fought five times a year on USA NETWORK to allow him another shot at the title. After his win against Ray Mercer, which surprised all critics, Larry fought Evander Holyfield for the Heavyweight Championship Title. Unfortunately, Larry had a detached retina prior to his fight in which he was hospitalized a month before the fight. Larry went the distance with Holyfield, but lost the decision. Larry Holmes was still not ready to officially retire and fought on a monthly basis while challenging such contenders as Oliver McCall, Brian Nielson(fought in Denmark) and Maurice Harris. In Holmes' boxing comeback of the 1990's, Larry fought 24 fights including 2 title fights with 21 wins at an age when most fighters would never think about returning to the ring. As Larry Holmes was demonstrating his quick jab and murderous right hand in the ring, he was evolving into a savvy entrepreneur in real estate and various businesses that would be an annuity for years to follow. Holmes always prepared himself for the time when he would not be able to enter the ring. Larry Holmes fought the odds and won. His career and accomplishments will always be a part of our history for all to see that honest hard work and discipline will put you on the path to success. The "Champ" has transferred his boxing abilities in the ring to his entrepreneurial skills outside the boxing arena. Holmes takes a hands-on approach to each of his business ventures that endorse the Larry Holmes signature. The "Champ" has always been aggressively pursuing business ideas and projects that will bring positive annuity to his family for years to follow. DISCLAIMER: PFP Sports Talent Agency does not claim to represent itself as the exclusive agent for Larry Holmes. PFP Sports Talent Agency is a booking agency that represents organizations seeking to hire pro athletes and sports personalities such as Larry Holmes for speaking engagements, personal appearances, product endorsements and corporate entertainment. Fees on this website are estimates and are intended only as a guideline. Exact fees are determined by a number of factors, including the location of event, the talent’s schedule, requested duties and supply and demand. PFP Sports Talent Agency makes no guarantees to the accuracy of information found on this website and does not warrant that any information or representations contained on this website will be accurate or free from errors. We are often asked how can I find out who is Larry Holmes's agent? To find Larry Holmes appearance fees and booking agent details, you can contact the agent, representative or manager through PFP Sports Talent Agency for speaking fee costs and availability. PFP Sports Talent Agency can help your company choose the ideal sports personality for your next marketing campaign. To hire Larry Holmes for an appearance, speaking event or endorsement, contact Larry Holmes's booking agent for more information.